Sorry, no animals allowed because of the carpet floor. 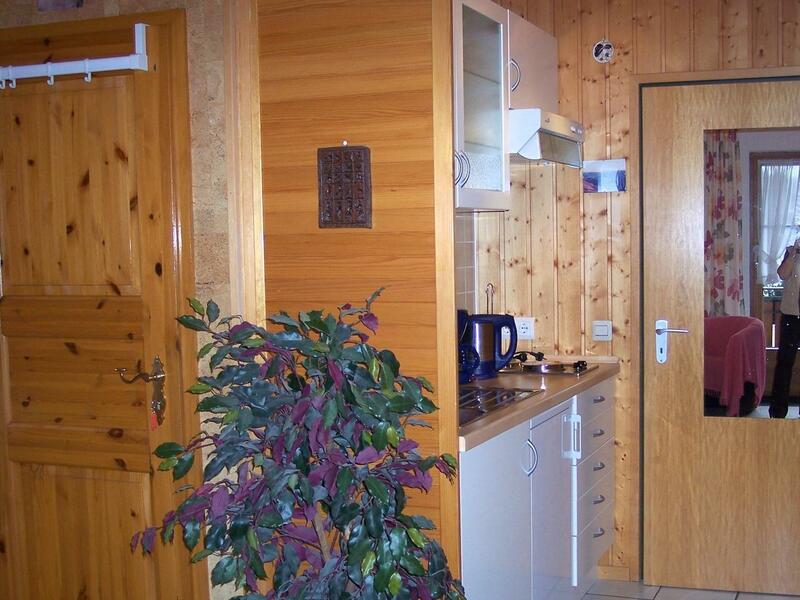 You are looking for a small cosy apartment? 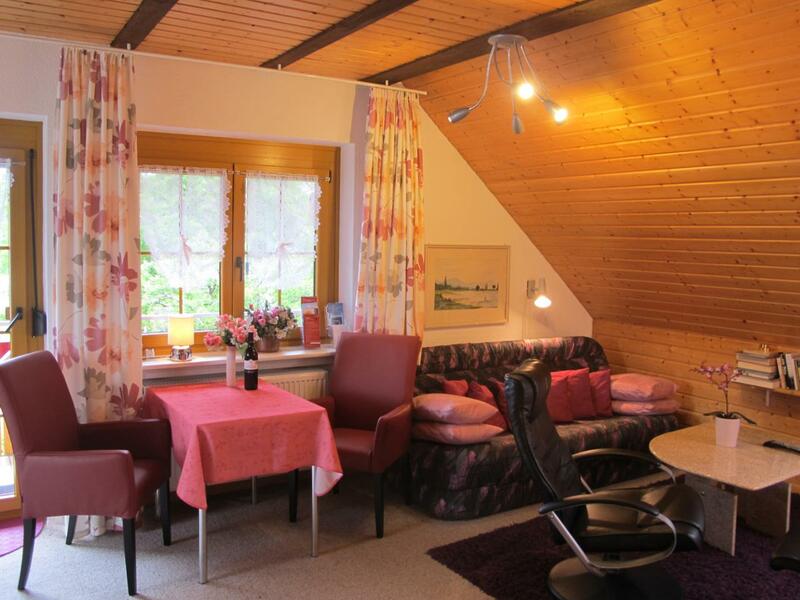 Then our apartment „Feldberg“ might be just right for you! 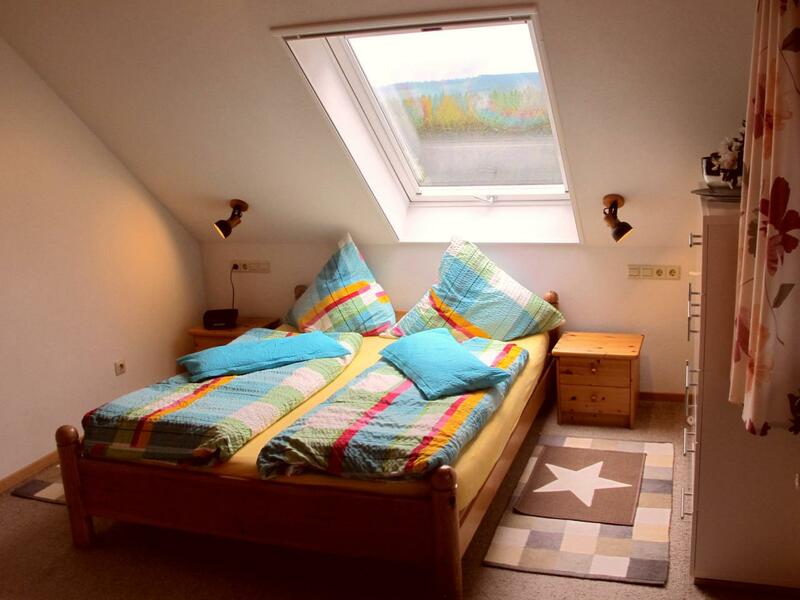 This apartment, suitable for 1 to 2 persons, is perfect for relaxing and reading. 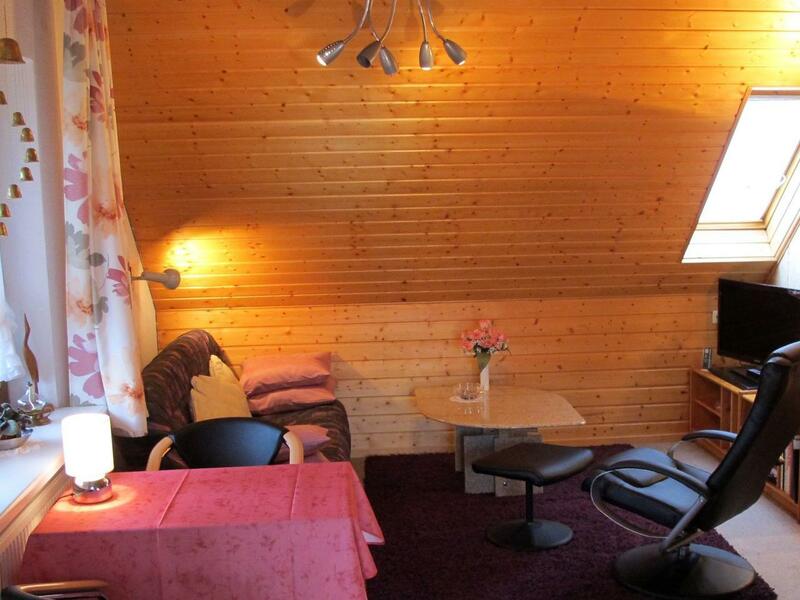 It is certificated with 3 stars ★★★ by the DTV ( German Tourism Assiciation). You will really like it! From the gig balcony you can enjoy a wonderful view over the hills and mountains of the Black Forest up to the Feldberg. And if the sun is too strong for you you can get shadow by a nice red awning. On the balcony you will also find a new electric barbeque for completing a good dinner. The double bed, located beneath a big roof-lights offers you an amazing outlook onto the stary night sky.The windows are equipped with flyscreens and blinds. 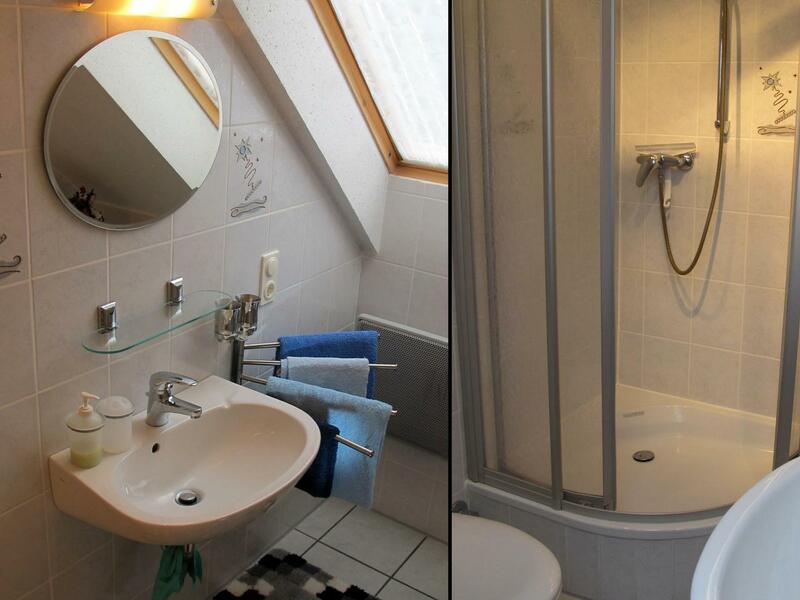 You will feel comforted in the light and warm bathroom a shower,. The kitchenette is well equipped with a ceramic glass cooktop, exhaust hood, and everything you need for preparing a wonderful meal. 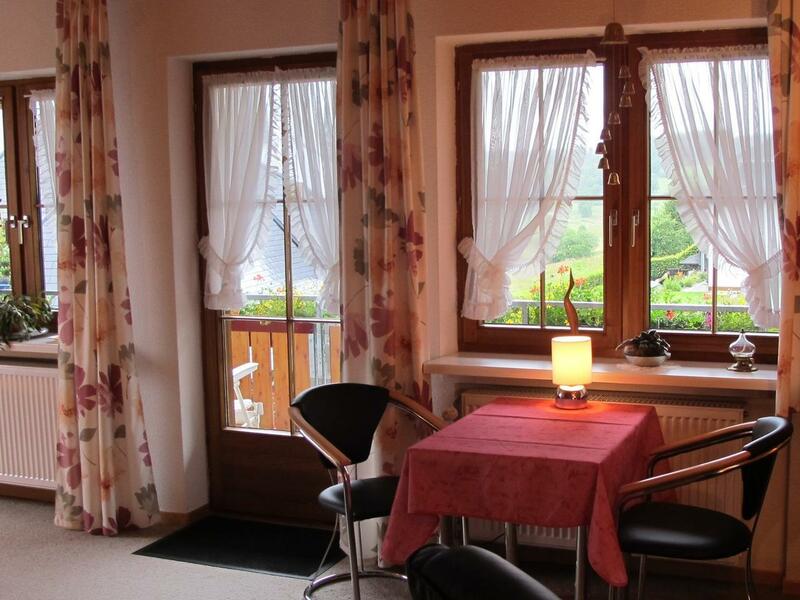 And we have a nice table with two leather armchairs for dining. If you are interested in modern media you can watch exciting movies on the flatscreen TV set, which is equipped with a lot of modern ports (HDMI), stereo and a DVD player. And there is a cosy sofa a a relax armchair for your easiness. You will calm down and enjoy the comfort and silence.